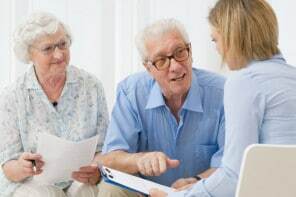 Reviewing your older adult’s healthcare plans and planning for next year’s needs could save money and improve coverage. Medicare’s annual Open Enrollment period runs from October 15 to December 7. It includes Medicare, Medicare Advantage, Medigap (Medicare Supplement), and Medicare Part D plans. During this time, people covered by Medicare can make changes to their medical and prescription drug plans for 2019. The changes will take effect on January 1, 2019. After December 7th, no more changes can be made for 2019. We explain why making changes to your older adult’s medical and prescription plans may be needed to save money and improve coverage. We also share how to know which plan changes to focus on, how to compare 4 key areas of coverage, and 4 ways to get help with these decisions. Why do seniors need to make changes to Medicare plan choices? Medicare health and drug plans can change each year: costs, coverage, and which providers and pharmacies are in-network. That means the plan that covered everything your older adult needed this year might not have the same coverage next year. This is especially true for Part D prescription drug plans. Those changes could result in significant increases in next year’s healthcare costs. But often, changing to a different plan could get the coverage your older adult needs without increasing their premium or out-of-pocket costs. And, there’s always the chance that plans with lower premiums could provide the necessary coverage. Medicare plans send their Annual Notice of Change (ANOC) in early October. The ANOC is a helpful summary that highlights any changes in coverage, costs, or service area that will be effective in January 2019. Is the plan premium going up? If the increase is significant, there might be a plan that gives similar coverage at a lower price. What are the current deductibles and co-pays? Will these be increasing next year? Medication that’s not covered is expensive! Paying special attention to prescription drug plans could save a lot of money. It’s time-consuming, but necessary to find out how changes in drug plan premiums, formulary, and pricing tiers will affect the cost of medications your older adult takes. Typically, a plan could raise premiums, add or remove drugs from their formulary, change pricing, or move drugs from one price tier to another. It’s also important to know if your older adult’s preferred pharmacy is in the plan’s network (prices are lowest in-network) and if there are any restrictions, like prior authorization or being forced to try a certain drug first. Estimating those costs and taking restrictions into account gives you a clear picture of which 2019 plan will provide the most cost-effective prescription drug coverage. Note: A plan’s formulary is the list of covered medications. Most prescription drug plans have 5 pricing tiers – preferred generics, other generics, preferred branded drugs, other branded drugs, and expensive specialty medications. Each tier has a different cost. If your older adult has a Medicare Advantage plan, call their current doctors, hospitals, specialists, and other providers to make sure they’ll still be in the plan’s provider network in 2019. Comparing Medicare plan options can be overwhelming. Get additional help and information from these 4 reputable sources. Getting expert advice can save hours of your time. The State Health Insurance Assistance Programs (SHIPs) give free, in depth, one-on-one insurance counseling and help. A counselor who understands Medicare and Medicaid can guide to you smart options for your older adult’s personal situation. You can trust them because SHIPs are government programs funded by the federal U.S. Department of Health and Human Services. Call the local Area Agency on Aging and ask if they have programs that help with Medicare Open Enrollment. Medicare has an online plan finder and comparison tool. Enter your older adult’s zip code, current Medicare coverage, and medications. Then, the tool shows their available plan options for 2018. You could also call the Medicare office and ask a representative to run a search for plan options and mail you the results. This takes extra time, so call ASAP if you want to use this method.